Our basic package includes 8 hours coverage by two photographers, your photographs presented as a high-end dvd slideshow with music of your choice, playing as a chronological story of the day, and unwatermarked, uncopywritten high resolution jpegs of your pictures. This is a particularly attractive part of our core package and besides the quality of the photography, a main reason why many of our clients, who don’t want to compromise on photography but are on a budget, choose to go with us. Our prices start from £1,500. We use two great companies who print art photobooks; one based in US called Asukabook and Graphistudio based in Italy. We chose these companies because of their superior products and fantastic customer services. Asukabook breaks the mold for typical photographic image presentation. State-of-the art printing technology, bookstore quality, coffee table book styling and single copy production, are available at exceptional prices. Graphistudio books are photographically printed and hand bound using a continuous page binding system with every page opening flat and having a perfect panoramic view. We can also offer more traditional albums supplied by a world leading Australian company Jorgensen Albums. Albums and books can be ordered any time within one year after the wedding. You can choose the pictures for the album yourself of leave it to us and we will show you the proofs before printing. As we tailor printing requirements to your budget, please ask us for more details about the prices. How will you shoot our wedding? Our big advantage is having two photographers on the day. We work on the basis of observation and recording, trying to capture not only the place and people, but also the atmosphere and feeling of the whole event. Many of our clients reported that they hardly noticed that we were present at all. 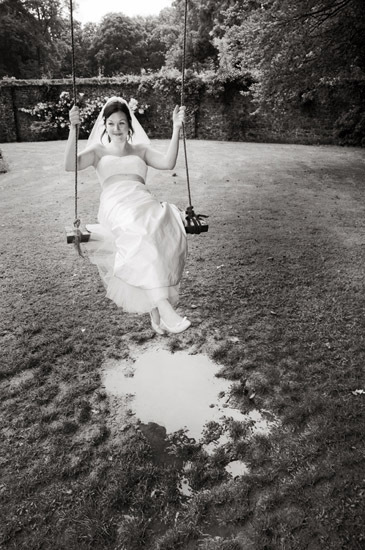 We always exploit these opportunities swiftly and discreetly and following the true photojournalistic aesthetics of natural, relatively unposed photography (contemporary wedding photography). Do you take any formal pictures? Although we shoot purely as photojournalists without orchestrating your day, we also appreciate that some clients would like a small number of formal photographs. We are very happy to shoot a few family/friends groups and take some portraits of the bride and groom using any beautiful architectural opportunities or locations in the grounds of the venue. In most of the cases we do. If sheer distance is an issue we make sure that we arrive the day or sufficiently before the event to familiarize ourselves with the location. To secure your date we require a non-refundable deposit of £250 that is later deducted from your final total. We favor internet transfers but if it is not convenient for the client we will accept a cheque. We are very happy to meet the clients by appointment. Evening appointments are available. We are also happy to meet some clients in Central London.